Liz began her search career in 1997 at Schall Executive Search and was the first search consultant hired by David as he expanded his practice beyond a sole proprietorship. Liz has added tremendous value to the firm and was a natural fit for the search business based on the success of her early career in human resources and sales. In addition, Liz’s ability to assess talent, keen attention to detail, sense of urgency and follow through, and conscientious nature have served the firm’s clients well. 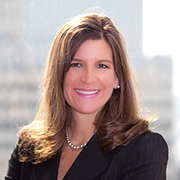 She has completed many of the firm’s senior level assignments across a broad spectrum of industries, including consumer products, retail, financial services, advertising, public relations, non-profit, and real estate. Her functional expertise includes placing executives into C-Level and general management roles as well as leaders in marketing, human resources, finance, operations, engineering, and sales. Prior to joining Schall Executive Search, Liz started her career at American Express Financial Advisors (now Ameriprise) where she initially worked within Institutional Retirement Services administering the American Express Company 401(k) before transitioning into human resources, where she supported Tax and Business Services focusing on mergers and acquisitions. Liz earned a Bachelor of Arts degree in Communication from St. Norbert College in Green Bay, Wisconsin. She and her husband Mark live in Minneapolis with their twin daughters Isabella and Emilia. 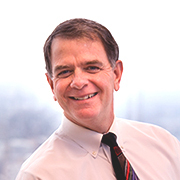 David has been a Twin Cities leader in executive search since 1980. He was a sole proprietor from 1982 – 1997 and was Managing Partner until 2014. David majored in Business and Russian language at Duke University and is a retired member of the Board of Directors of Park Nicollet Foundation, The Blake School and the Institute for Research and Education. Prior to his career in executive search, David worked for former 3rd District Congressman Bill Frenzel in Washington D.C. and played and taught tennis in California. David and his wife Patty live in Edina, Minnesota and have two grown daughters. He is an avid reader, golfer and squash player. Sydney plays a critical role with candidate research and assists in the overall search process as the Office Manager and Research Director. She is also involved in keeping administrative and financial functions in order. A Twin Cities native, Sydney recently returned from Beijing, where she resided for almost a year and gained valuable business experience. Sydney graduated from the University of Wisconsin-Madison, majoring in Management and Human Resources, and was employed there as a course facilitator. During her final year at UW, she taught a course entitled: Personal and Professional Foundations in Business. Sydney currently lives in Plymouth, and is proficient in Mandarin Chinese.